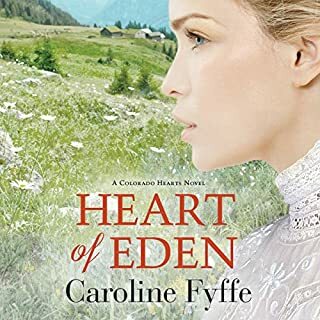 Where does Heart of Eden rank among all the audiobooks you’ve listened to so far? One of the best. Great narrator. 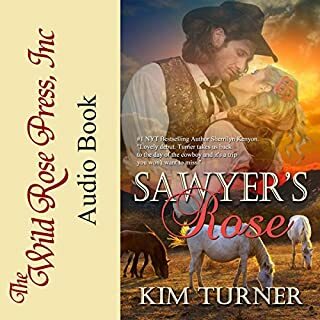 As if he doesn't have enough to handle between running outlaws out of Cheyenne, keeping his brothers out of trouble, and avenging his father's death, Sheriff Sawyer McCade's meddling mother just dumped a mysterious mail-order bride on his doorstep. One woman can be more trouble than a band of renegades, and while this one has him all stirred up, he'd rather get to the bottom of the story she isn't telling. Rose Parker had it all - until a web of danger and deceit sends her running to Cheyenne posing as a mail-order bride. 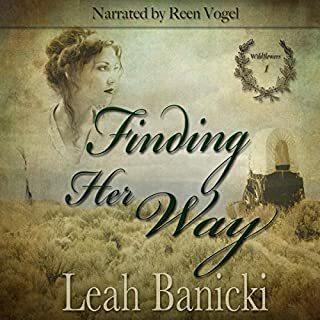 Escaping the evils of New York seems sensible until she meets the unsuspecting sheriff who didn't ask for her, has no intention of marrying her, and won't rest until he uncovers her secret and sends her back home. Would you listen to Sawyer's Rose again? Why? Love the story of Sawyer and Rose. Great love story, Now it's on to Wyatts story. Thanks Kim for such a wonderful book. In 1848, women can expect a few bumps along the Oregon Trail. Corinne Temple, age 17, has a few ridiculous challenges to face outside the river crossings, snakes, Indians, accidental gunshots, and finding enough privacy to be clean along the grimy trail. 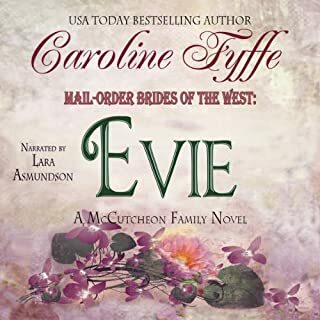 When Corinne’s marriage of convenience gets less convenient, she turns to some new friends in the wagon train who help her see the hope for the future. They teach her to take the time to dance and celebrate the small victories, to have faith and determination through the hardest things a person can face. What did you love best about Finding Her Way? What does Reen Vogel bring to the story that you wouldn’t experience if you just read the book? Who was the most memorable character of Finding Her Way and why? This is one of the very best books I have listened to. Loved all the characters. Well maybe not Andrew so much. Can hardly wait for the next book to come out in audible. Thank you Leah for this wonderful book. 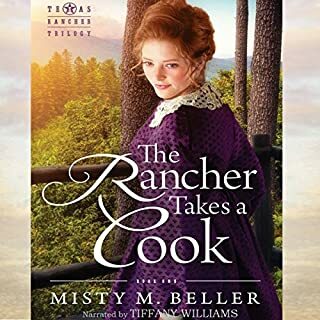 Where does The Rancher Takes a Cook rank among all the audiobooks you’ve listened to so far? This book ranks at the top of all audible books I have! when they were in Church and sang a song that said, "I am at peace with my Soul " That stuck in my mind through the whole book, Guess I will remember that for a long time. This was an awesome book, Love the story of Ann and Jacob, I hated to see it end! Misty Beller is a great Author and I will be reading all of her books. Thanks Misty for many hours of listening to a wonderful story. I would recommend this book to everyone! If you could sum up Healing Montana Sky in three words, what would they be? Debra, this was such a wonderful story, so many emotions in the book, I didn't want it to end. I also love the narrator, Natalie Ross is my favorite. Desperate to escape his overbearing father, Patrick McAllen disappears with his bride, heading north to build a new town - discovering strength, honor, and true love along the way. After drinking away the grief from his family's death, Clint Truman avoids jail by taking a job in North Texas and settling down with a woman he vows to protect but never love - until her quiet compassion slowly breaks his hardened heart wide open. If you could sum up A Place Called Harmony in three words, what would they be? This was such a great book that I couldn't sum it up in 3 words. Which character – as performed by Julia Gibson – was your favorite? The whole book moved me!!! I loved this book and was sad to see it end. This was one of the best books I have ever bought, read, or listened to. It draws you right into the little town of Harmony. I would recommend this book to everyone. Great Author!!!!! What made the experience of listening to Mail-Order Brides of the West: Heather the most enjoyable? The story but also Lara Asmundsons voice adds a lot that I missed when I read the book. 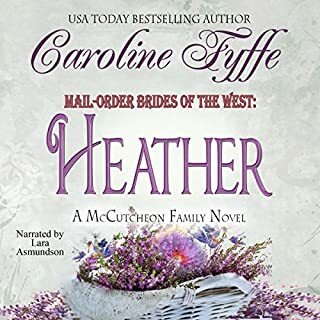 Who was the most memorable character of Mail-Order Brides of the West: Heather and why? I read this book but when I listened to it in Audible, it was like a new book. Loved it!! Looking forward to listening to all the books in this series. What about Lara Asmundson’s performance did you like? After spending nine years as a missionary in Africa and losing his wife to illness, Joshua Norton is exhausted, emotionally and physically. He returns home to the frontier Montana town of Sweetwater Springs with his estranged nine-year-old son in tow, hoping to rebuild his relationship with the boy. 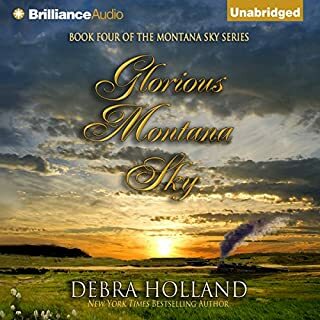 Where does Glorious Montana Sky rank among all the audiobooks you’ve listened to so far? What other book might you compare Glorious Montana Sky to and why? 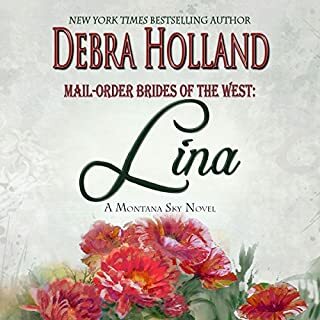 All of the Montana Sky Series and The Brides of the West because a lot of the characters from those books are in this one. I love listening to Natalie Ross, her voice is so smooth and easy to understand. She is my favorite! Yes, it was hard to put this book down. Debra, This is an awesome book. I loved the story and the characters. I very much enjoy the audible version.. 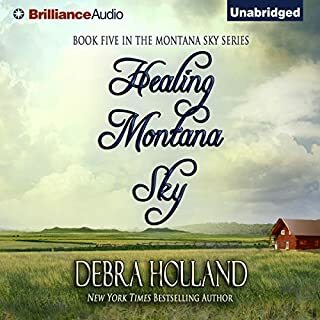 I have read all of your books and I'm looking forward to Healing Montana Sky. Thank you for this wonderful story! Yes I would, Lina is a wonderful story. I read the book and the audible version was just great, it was like a new book all over again. Lara Asmundson is very good as a narrator, I enjoy listening to her smooth clear voice. Debra, this was a wonderful book. I love the audible version. The story and characters were great. I have listened to most all of the Brides of The West and I loved them all. You are a fantastic Author! I highly recommend this and all your books.